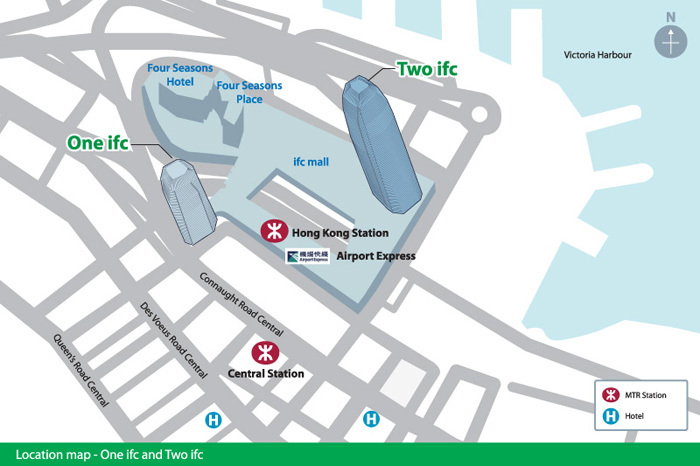 One ifc is located in the prime Central office district. It enjoys spectacular harbour views, and is connected to a shopping mall, cinema and Four Seasons Hotel & Four Seasons Place (Serviced Suites). Two ifc is one of the world's tallest. It is in the prime Central office district. It enjoys spectacular harbour views, and is connected to a shopping mall, cinema and Four Seasons Hotel & Four Seasons Place (Serviced Suites). Sun Hung Kai Centre was one of the first grade-A office buildings in Wan Chai North. It has a 54-storey expansive view of Victoria Harbour. Harbour Centre is a 33-storey grade-A commercial development with expansive Victoria Harbour views in the Wan Chai North business district. 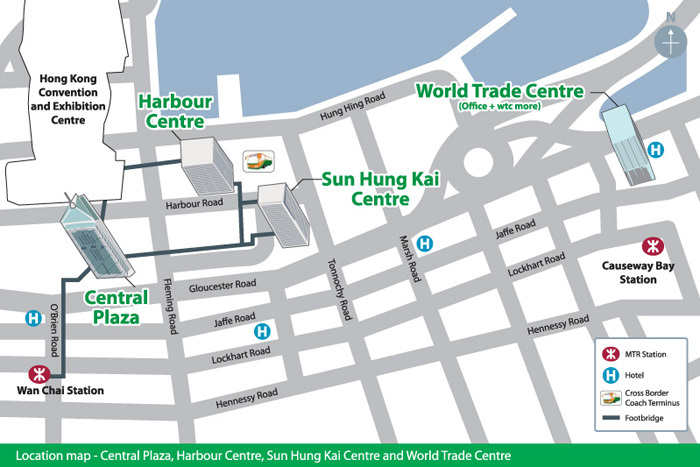 Boasting spectacular harbour views, Central Plaza is situated in the Wan Chai North business district near government towers as well as the Hong Kong Convention and Exhibition Centre. World Trade Centre is a grade-A commercial building in the heart of Causeway Bay's prime shopping and commercial area, providing stunning panorama views of Victoria Harbour and yacht club. Kai Tak Commercial Building is located in Central Business District with open Victoria Harbour views, easy access to MTR station and Hong Kong-Macau Ferry Termainal. 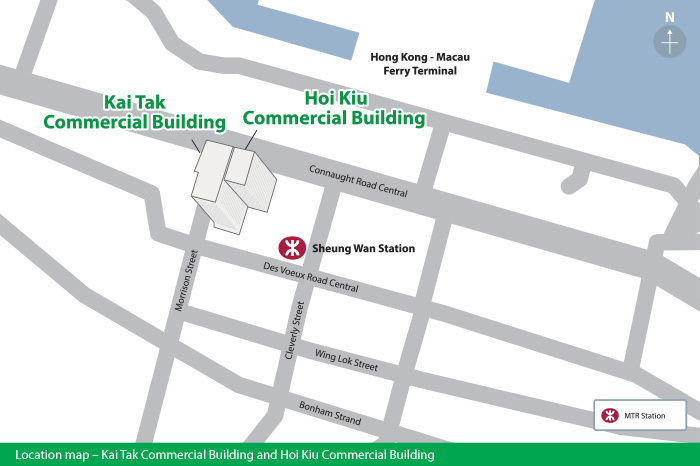 Hoi Kiu Commercial Building is located in Central Business District with open Victoria Harbour views, easy access to MTR station and Hong Kong-Macau Ferry Terminal.